"Early literacy" is what children know about reading and writing before they know how to read and write. It includes everything from noticing when a book is turned upside down to building a broad vocabulary that will help them recognize words when they begin to sound them out. To learn about early literacy programs and resources in Northfield and Minnesota, please click on the second tab. To view the storytime schedule, listen to playlists of music and rhymes used in storytime, learn why "What happens in storytime SHOULDN'T stay in storytime," and more, please click on the third tab. 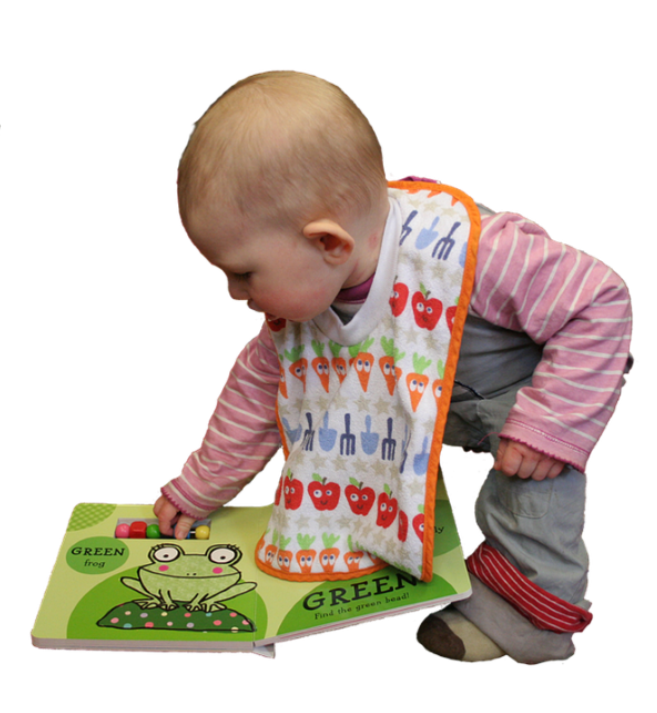 This page features general resources on early literacy from around the web that offer guidance on how to get the most out of reading (and talking, singing, playing, and writing) with your child. Specific ways to develop the six key early literacy skills (letter knowledge, phonological awareness, vocabulary, narrative skills, print awareness, and print motivation) while reading with children. From Colorado Libraries for Early Literacy. Tips on choosing good books, reading aloud, literacy milestones, and more. This link goes straight to the Early Literacy Resource page at Zero to Three, a nonprofit organization dedicated to nurturing healthy brain development, social and emotional development, and more. See zerotothree.org for the full site. 1. TALK with and to your child about everything you do. Use specific vocabulary words: "Should we steam the broccoli, or have it raw and crunchy?" Expand on what your child says: if she points to a truck and says "truck," say, "Yes, it's a big yellow dumptruck." 2. Use the word "TELL" to encourage your child to talk at more length and use more words. For example, instead of "How was daycare? ", say "Tell me about your day." Instead of "Did you draw a horse? ", say "Tell me about your drawing." 3. READ with your child. Every day is ideal. If you can't make 15 minutes happen, strive for five. If you're too tired at bedtime, try a story at breakfast. Reading time should be fun, intimate, special, cuddle time--never forced. If your toddler can't sit still for a book, that's okay. Keep reading while she explores or reaches for toys. 4. READ not just stories, but nonfiction, too. If your child loves dinosaurs, page through a factual book about dinosaurs together. Never feel like you have to read all the words on a page! Just talking about the pictures is beneficial. Nonfiction books contain more "rare words"--words we don't encounter in daily conversation--than picture books, and picture books contain more than everyday conversation. The more rare words kids hear before they start kindergarten, the easier it will be for them to recognize words when sounding them out. 5. Practice dialogic reading with your child (see definition below). 6. SING with your child! Singing breaks up the sounds in words and helps children hear that they are made up of smaller parts. It also builds listening skills and the ability to distinguish one sound from another. Daily routines offer the perfect opportunity to introduce songs (they even help to get kids going on whatever task you have at hand). Try these lyrics to the tune of "Frere Jacques" when your child is washing his hands: "Tops and bottoms, tops and bottoms, in between, in between, rub them all together, rub them all together, squeaky clean, squeaky clean." 7. Encourage, and allow lots of time for, dramatic and open-ended PLAY--whether it's playing with dinosaurs, trains, or in the kitchen area at the library, or playing dress-up at home. When they make believe, children invent stories and use words they wouldn't in daily conversation. 8. Point out print everywhere around you: on store and street signs, on cereal boxes, etc. Also point it out in books! Studies show that 95% of a child's attention is on the illustrations when we read picture books with them. Occasionally point to the words themselves, running your finger under them while reading them. 9. Encourage your child to WRITE her name even if she can't form all the letters yet. It's good practice for recognizing that these abstract shapes--letters--have significance when strung together. Let your child see you writing, too: write out a shopping list together instead of typing it into a phone. Say what you're writing out loud as you write it: "M-I-L-K: milk!" 10. Brace yourself for repetition! You've probably already experienced your child wanting to hear the same book over and over for weeks on end. Repetition is one way young children learn (and enjoy learning). Boring as it may be to an adult, understand that your child's brain craves it. And don't worry, it won't last forever. I strive to model dialogic reading in storytime, and encourage parents and caregivers to approach reading with their child the same way. In a nutshell, it entails asking questions that involve your child as you read: "Oooh, what do you think will happen next?" "Which animal is this? What sound does it make?" "Look at his face! How do you think he's feeling now?" Dialogic reading builds skills--prediction, observation, reasoning, and more--that a straightforward reading of a story can't. It turns children from passive listeners into active participants, engaging them more deeply. For more information on dialogic reading, try this excellent tipsheet from CLEL. For babies birth-24mos and their caregivers. Books, songs, rhymes, and movement that build early literacy skills, followed by plenty of time to socialize and play! Siblings always welcome. For children aged 2-6 and their caregivers. Books, songs, rhymes, and movement in an energetic storytime designed to build early literacy skills while having fun. Siblings always welcome. Early Literacy 101: carefully selected videos with great tips for parents and caregivers and the reasoning behind them.